A way of deforming an object to show its rigidity or flexibility is Squash and stretch. 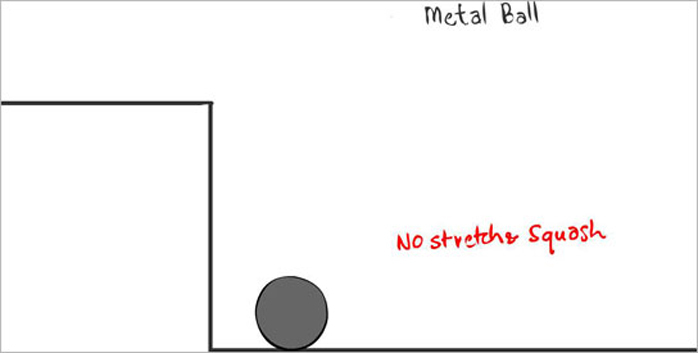 A rubber ball tends to flatten if it bounces and hits the ground – A Squash Principle. The ball will ‘Stretch’ in the direction its going once it starts bouncing upwards again. Squash and stretch helps in bringing flexibility, sense of weight and volume in the animation adding more life and energy in the motion. Below are the 3 examples given following the Squash and stretch principle.